Border – yet another suspect: the control’s border and fly-over appearance feature affects its appearance. This also proved a dead-end: all the buttons had simple default borders, nothing special about the highlighted one. Background – another dead end: while we could indeed set a non-standard button color, this property does not enable the tinting effect (lighter half at top, darker at bottom). Needless to say, in our case this property had the default (gray) value. Selected – this property does not really highlight the control, but rather draws a thick dashed border around it (see below). focus – by calling uicontrol(hButton) we can have Matlab set the focus on the button. The Operating System then automatically kicks in to add some shading effect. This finally looked close, but again, it was just not quite right. Under the hood, updating the Value property sets the pushbutton’s underlying Java control‘s Selected property to true. Note that the Java Selected property is entirely unrelated to Matlab’s Selected property (which has no underlying Java counterpart). I do not understand the design decision that let to this, but since it has been like this for many years I see little chance that it will be changed in the near future. In any case, the Java Selected property indeed has a visual effect, but the actual effect depends on the current operating system and Look-&-Feel (LnF). You can play around with the LnF to achieve various other alternative highlighting effects, or customize one of your own. If this topic has piqued your interest, consider joining my Advanced Matlab GUI course in London on 12-14 March, 2014. In this course/seminar I will explore numerous other ways by which we can customize Matlab’s GUI and graphics in ways that you never knew were even possible! 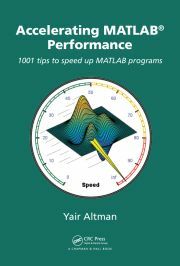 This is a unique opportunity to take your Matlab skills to a higher level within just a few days. This training is not offered anywhere else.